If we were to make a list of world’s leading cities in alternative arts and culture, Berlin would certainly find its place among our top choices. The reputation it holds, as one of the best cities for cutting-edge, independent artistic expression, has been the main reason why artists, bohemians, and numerous creatives from all over the world decided to move to Berlin and call it their permanent home. However, this reputation didn’t magically appear from thin air. The fearless fight for artistic freedom has been going hand in hand with the political and social dynamics of the city, and most importantly a long tradition of civic initiatives. One of those initiatives that started with the occupation of the Bethanien building in Kreuzberg gave birth to iconic alternative art platform, which today, after the unfortunate closure of Kunsthaus Tacheles, stands as one of the last of its kind. For decades, the building on Mariannenplatz has been the epicenter of independent art and open culture, which is why it is important to spare a moment to talk about Kunstquartier Bethanien, and how it came to be. Commissioned by Friedrich Wilhelm IV in the mid-19th century, the beautiful building on Mariannenplatz was for more than a century a host to public healthcare facilities. Central Deaconess Institute and Hospital Bethanien was designed by three students of Karl Friedrich Schinkel and for a time, it was a workplace of Germany’s famous poet and novelist Theodor Fontane. At the beginning of the 1970’s, however, the hospital closed, and plans were made to demolish the institution and implement new social housing project. Few years prior to the scheduled demolition, the “battle for Bethanien” began, with activists and citizen’s initiative groups protesting the destruction of the edifice, raising public awareness in regard to the Bethanien’s historic significance and paving the way for preservationists to propose a series of redevelopment plans. In 1973, the building complex was repurposed and it reopened as a center for independent arts and culture, becoming a meeting point for various artists, squatters, activists and socially engaged creatives. The old hospital was one of the first art squats in a city celebrated for these spontaneous, creative, and rebellious ventures and the city’s most influential cultural center of its kind. In 1973, several large cultural and artistic institutions formed within the main building of the former hospital. 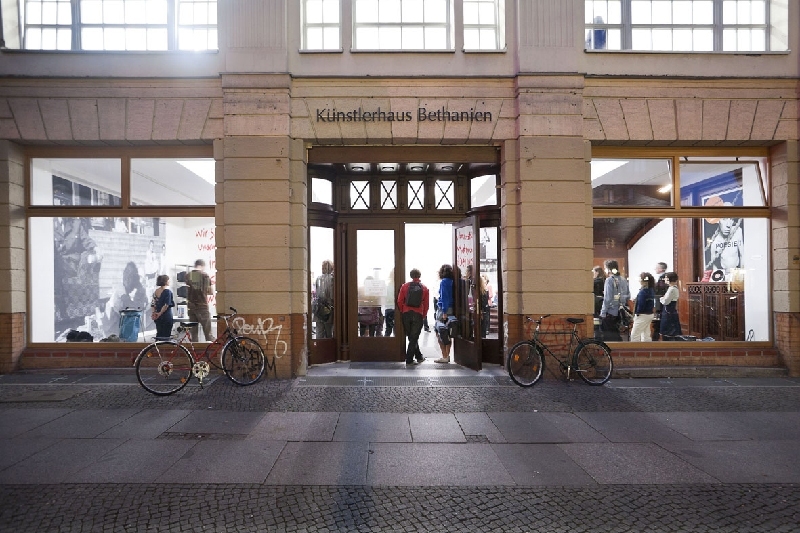 To this day, most of these foundational institutions are still active in Kunstquartier Bethanien, like the communal gallery Kunstraum Kreuzberg / Bethanien, the printing workshop of the cultural work of BBK Berlin, and Music School Friedrichshain – Kreuzberg. The Künstlerhaus Bethanien GmbH, which had the most influential role in developing a platform for avant-garde, experimental art scene during the 70’s and the 80’s, relocated to former manufacturing building known as the “Light Factory” on Kohlfurter Strasse in 2010, due to partial squatting of the Bethanien building by Yorckstraße group in 2005. Apart from these large anchor institutions, more than 25 others are located within the building, along with artist studios, galleries, exhibition and communal spaces. From the 1970’s onwards, Bethanien art house became synonymous with cutting-edge, groundbreaking artistic achievements, made across various disciplines including theater, dance, visual arts, literature, music, performance, and architecture. The residence programs organized by Künstlerhaus Bethanien GmbH have launched many successful artistic careers and the art center in Bethanien building was widely praised as a symbol of artistic innovation, open-mindedness, and uninhibited artistic expression. 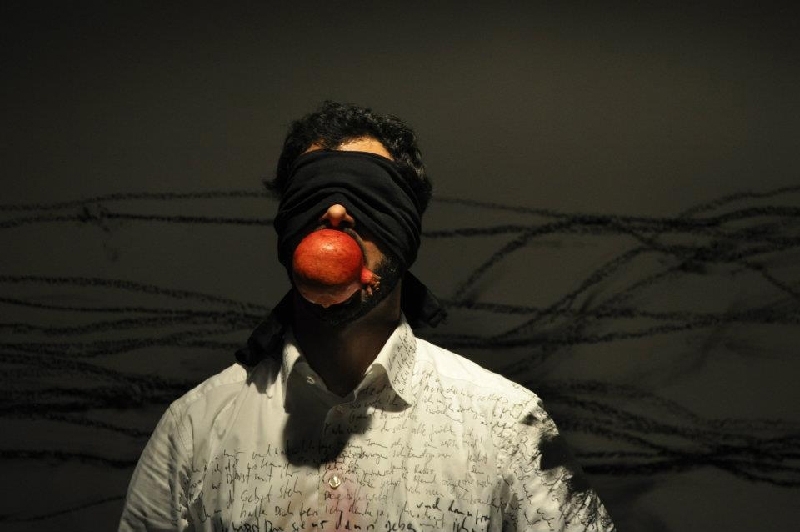 It provided a creative space for numerous artists from across the globe, building an excellent reputation as one of the country’s leading platforms for cultural exchange. 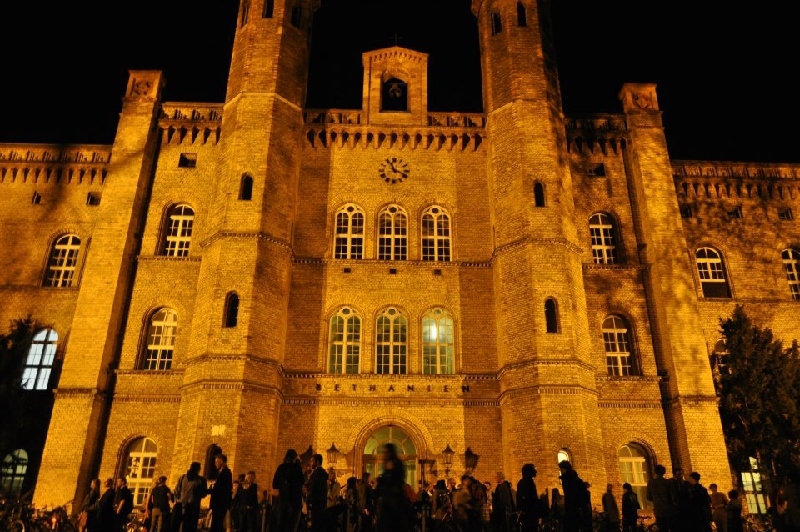 Bethanien art house was not only a place where art was presented but also a place where alternative society was being born, a stage for open cultural, social and political dialogue. 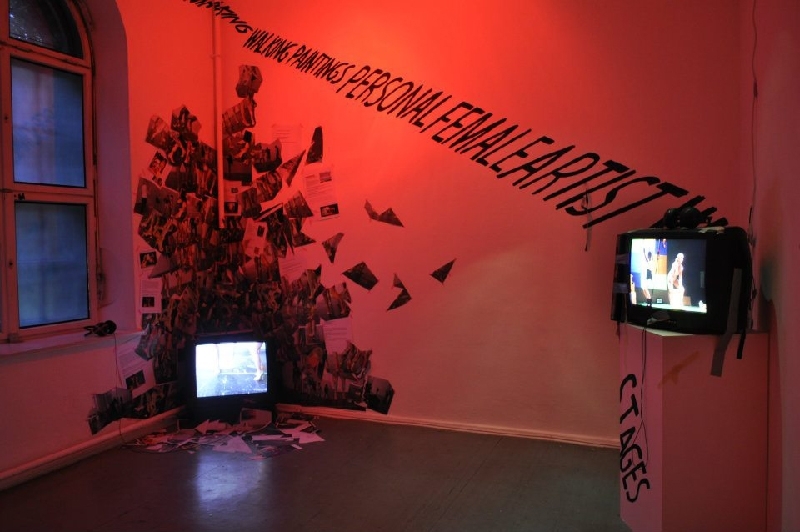 The interconnectedness of art and activism is best seen in the work of Kunstraum Kreuzberg / Bethanien gallery, which until this day holds on to its dedication to supporting socially conscious art and projects of cultural education. 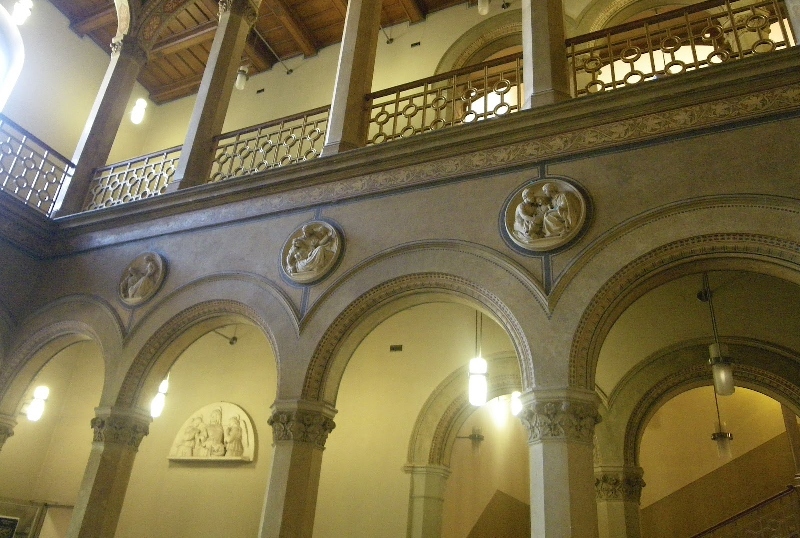 During the 2000’s, the Bethanien underwent some significant changes including a 2005 occupation of its south wing by the leftist group of squatters called New Yorck59, a battle over the privatization of the building, and, most recently, the change in management in 2009, when GSE (Society for Urban Development GmbH, trustees Berlin), a company which provides low-income households, took over the supervision of Bethanien building. However, the event that certainly divided artists into two fractions was the occupation of the building by the illegal squatters. While one fraction fought against them and opposed the occupation, the other enthusiastically embraced the idea, even starting to work on the projects that correlate with political agenda of “illegal occupiers.” The partial occupation of the building for Künstlerhaus Bethanien was one of the main motifs behind the decision to move out of the building into the new location. 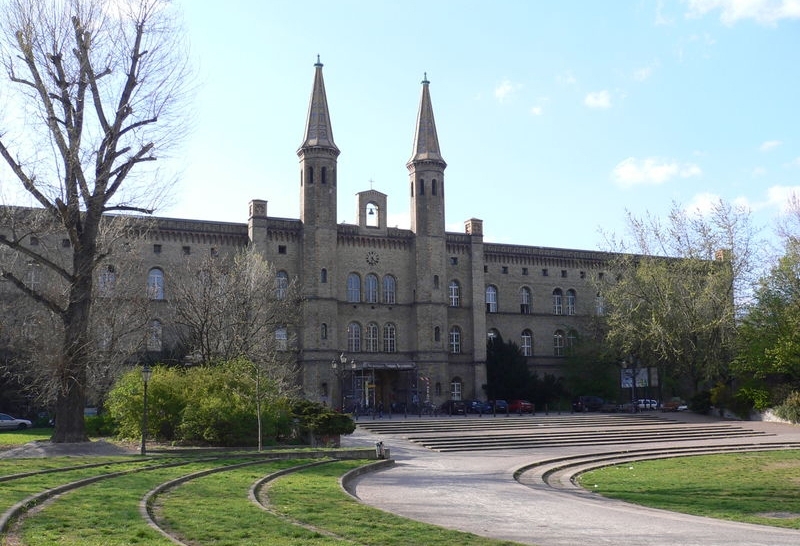 The decision to relocate one of the founding Bethanien institutions received the opposite treatment among the art-loving audiences. On the one side, it was argued that Künstlerhaus Bethanien was pushed out of the building, while on the other, the act was perceived as a result of the institution’s art market-oriented strategies. In any case, Künstlerhaus Bethanien continues its residency and exhibition programs, not far from the historic building it occupied for more than three decades. The relocation of Künstlerhaus Bethanien to Kohlfurter Strasse left a vacant area within the building and opened new possibilities for Kunstquartier Bethanien, with several institutions and groups, working in the field of theater and dance moving in and forming a Platform for Performing Arts in 2011. For any art or history lover, there are numerous reasons why Kunstquartier Bethanien should be one of those must-see places in Berlin. The historic edifice with a beautiful park around it may act as a reason on its own. On the other hand, the ever exciting and groundbreaking exhibitions, music, dance and art performances are something that should not be missed. Adopting a policy that art should be free of charge and accessible to everyone, Kunstquartier Bethanien usually requires no entrance fee for any of the events. And if you happen to be in Berlin during the summer you can enjoy open-air movie screenings in the inner courtyard of the complex. If you are an artist there are numerous workshops you can participate in and all exhibitions organized by Kunstquartier Bethanien institutions are accompanied by guided tours, films, discussions and artist talks. 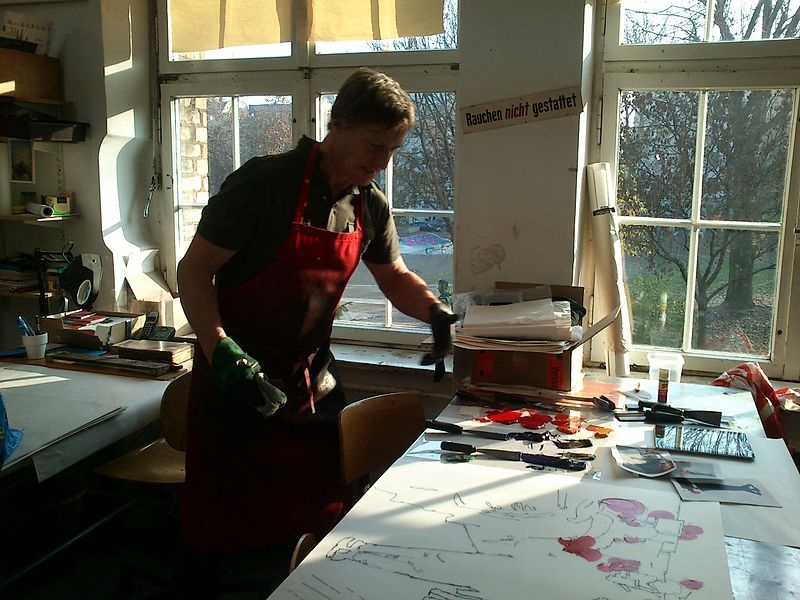 In the end, all this explains why after more than forty years Bethanien building, with all its features stays one of the favorite alternative art hubs among locals and visitors of Berlin.